Superdry women’s Pop zip hood Arctic SD-Windcheater. Get protected from the elements this season wearing the iconic SD-Windcheater. A must-have jacket in every wardrobe this season, oh so stylish yet so very practical. 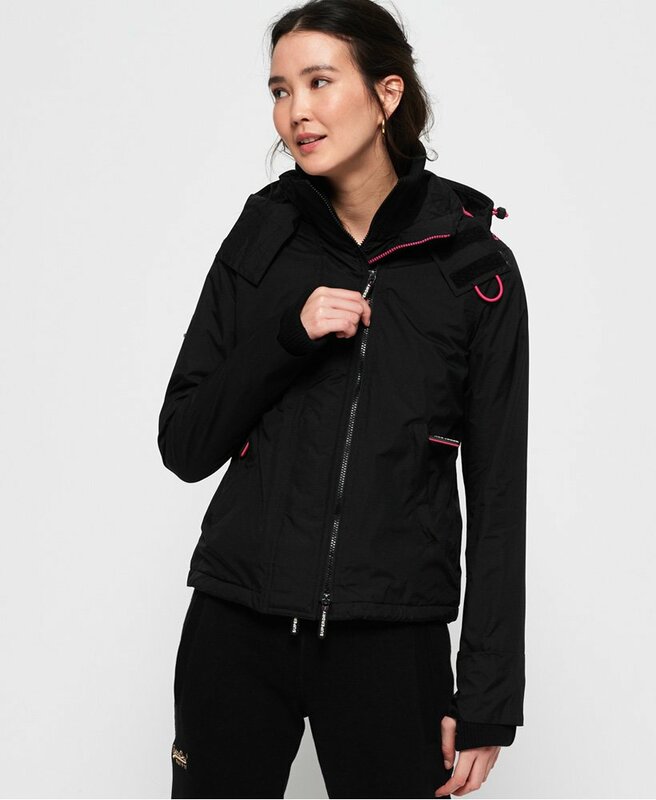 This jacket features a three layer zip fastening, a bungee cord hood with a hook and loop fastening and a ribbed collar and cuffs for a comfortable fit. This SD-Windcheater is also fully fleeced lined, with two external zip pockets and one internal popper pocket to hold your belongings. For the finishing touches to this jacket, it has a Superdry logo embroidered on the back shoulder, a bungee cord hem, Superdry branded zip pulls and a Superdry badge on the sleeve. This is a great casual jacket, matching perfectly with any outfit and is suited for an array of occasions.